Government scientists announced Tuesday that they're pulling the plug on a research program that's resulted in the deaths of thousands of cats. The U.S. Department of Agriculture's Agricultural Research Services lab had been infecting cats with toxoplasmosis and then euthanizing them since 1982 as part of its effort to combat the foodborne illness. In its statement, the USDA said its "toxoplasmosis research has been redirected and the use of cats as part of any research protocol in any ARS laboratory has been discontinued and will not be reinstated." The authors of the "USDA Kitten Cannibalism" study, the nonprofit White Coat Waste Project, said the gruesome experiments showed the agency had gone far astray from its mission of keeping the U.S. food supply safe. In its statement, the USDA did not mention the "cat cannibalism" experiments, but it did say that "ARS toxoplasmosis research has reached its maturity and ARS considers the project’s objectives for agriculture achieved. While there is still additional research needed in this area regarding human health, this research area is outside of USDA’s stated mission." 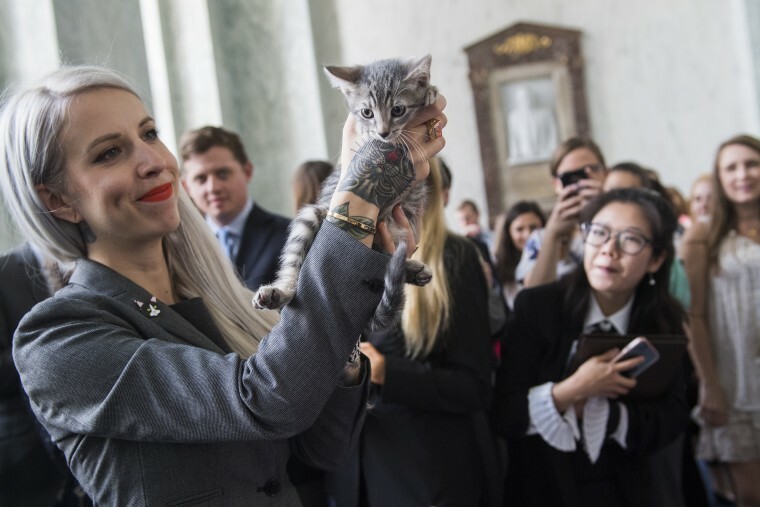 Rep. Jimmy Panetta, D-Calif., who'd been pushing legislation aimed at ending the experiments called the Kittens in Traumatic Testing Ends Now Act, said, "I commend the USDA for their decision to end this type of testing on kittens. They listened to the people and responded appropriately to our concerns. This is how our institutions, our government, and our democracy should and must work." Anthony Bellotti, the founder of the White Coat Waste Project, which combats wasteful government spending on animal testing and had waged a year-long campaign against the cat experiments, called the move "a historic victory for taxpayers and animals." "After 3,000-plus kittens killed and $22 million squandered, we applaud the USDA for its wise decision to permanently end its taxpayer-funded kitten experiments and adopt out the survivors," Bellotti said, adding that he was "elated" that "the USDA’s kitten slaughterhouse has finally been relegated to the litterbox of history."